Having ADHD usually requires that you live a relatively clean lifestyle. Because if you want your brain to function at 100%, then you probably won’t be able to get away with eating as much junk food as normal people do. Life is unfair, I know. 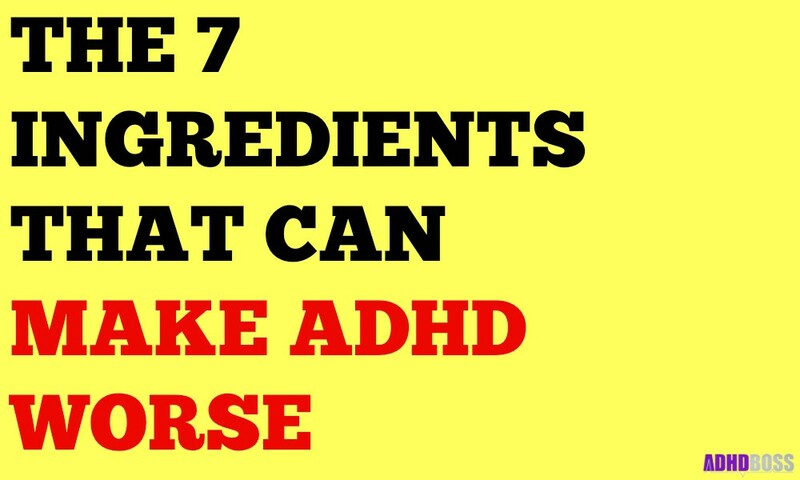 So, this article reveals the 7 ingredients that can make your ADHD symptoms much worse off. In other words, you’ll learn about the foods and ingredients to avoid if you have ADHD. But, make sure to read this article through to the very end, where I offer solutions to help you eliminate ADHD-aggravating ingredients from your life. One of the scariest things that you can do today is read some of the food nutrition facts labels in your kitchen pantry. Because if you live in an average American household, there’s a good chance that most of the foods that you eat contain soy ingredients. Everything from salad dressings, to chocolate bars, to crackers contain soy ingredients. Soy is absolutely everywhere. And, soy is plain terrible for your overall health and ADHD symptoms. This is because soy is high in phytoestrogens, which are plant-derived estrogen mimickers that are dangerous for your body. The phytoestrogens found in soy are dangerous because they can lead to estrogen dominance, and ultimately conditions like fatigue, depression, anxiety, brain fog, accelerated aging, and even breast cancer. With the sheer amount of destruction that soy ingredients cause to your overall health, it should be clear that soy isn’t helping your ADHD in the least bit. MSG is short for monosodium glutamate, which is a common and harmful flavor enhancer that doubles as one of the worst food additives available. 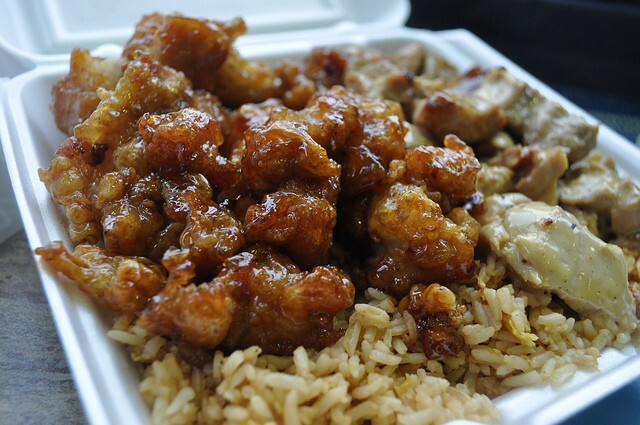 The problem with MSG is that it’s an excitotoxin. This means that MSG overexcites your cells to a point where your cells become damaged, or completely die off. Unfortunately, this can result in brain damage, or the worsening of learning disabilities. MSG has also been known to contribute to fatigue, depression, headaches, obesity and various other ailments. Because MSG can trigger or exacerbate issues with the brain, MSG is an ingredient that people with ADHD need to be pretty cautious of. Plus, because of MSG’s prevalence in Chinese food, flavored chips, and many fast food options, you have to be vigilant about staying away from this surprisingly common ingredient. According to Dr. Mercola, artificial sweeteners like aspartame and sucralose are some of the most dangerous ingredients on the market today. Some physicians and researchers believe that artificial sweeteners like aspartame can trigger or worsen health issues such as depression, anxiety attacks, brain tumors, alzheimer’s and even mental retardation. With this in mind, it isn’t too difficult to understand why artificial sweeteners can worsen ADHD symptoms as well. Luckily, artificial sweeteners are probably the easiest ingredients to avoid on this list. Just make it a habit to eat whole foods that haven’t been adulterated (check those nutrition facts labels). And use raw organic honey and stevia whenever possible, especially when you’re making your morning coffee. I’ve always assumed that I would be safe from consuming heavy metals, since I generally eat a healthy Mediterranean-style ADHD diet. But, after listening to a podcast episode featuring Tony Robbins, I heard about his severe case of mercury poisoning, and that changed my opinion on heavy metals forever. Tony Robbins apparently ate too much swordfish and tuna at one point in his life, which gave him extreme mercury poisoning, and almost killed him. As a lover of seafood, this had me worried. After researching heavy metal poisoning, I discovered that heavy metals in food are a serious problem that everyone with ADHD needs to be aware of. There is some evidence that links heavy metal toxicity to ADHD, but the research isn’t conclusive. Either way, it’s a good idea for everyone, and especially people with ADHD, to stay away from heavy metals as much as possible. I know what you’re thinking. Drinking alcohol with friends is super fun. So, don’t get me wrong here. It’s definitely OK to drink alcohol if your body responds well to it, and you like having a great night out every once in a while. But, I know for a fact that many people with ADHD have a difficult time with alcohol. The reality is that people with ADHD often need every advantage they can get in life. And sometimes, drinking alcohol in excess makes you feel like you’re “borrowing happiness from tomorrow” (i.e. living your life on “credit”). Drinking alcohol excessively can easily make you feel lethargic, unmotivated or even depressed at times. Those with ADHD often have a hard enough time staying motivated. So, it can help to take a break from alcohol in order to see how your body responds. You just might feel better than ever before after limiting your alcohol consumption, or abstaining from alcohol completely. At the end of the day, everyone responds differently to alcohol. So, it’s up to you to experiment, and see how you feel on and off the booze. Pro tip: Some people find that they only respond poorly to certain types of alcohol. 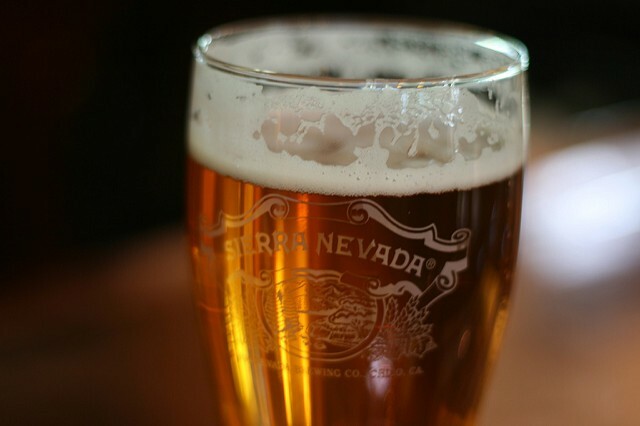 For example, beer is loaded with gluten, which can cause ADHD-like behavior in people who are sensitive to wheat. Meanwhile, vodka that’s made from non-gluten sources (like potatoes or grapes) may not cause any problems at all. 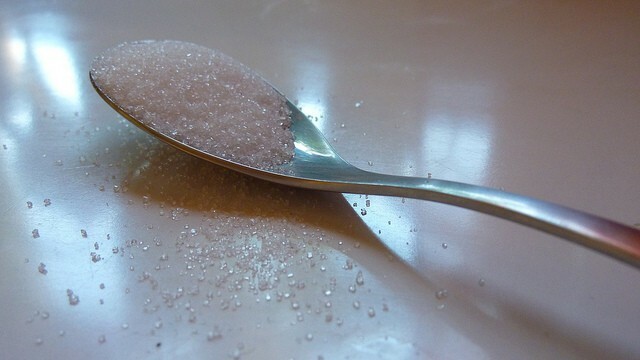 Did you know that the sugar industry has a long history of paying scientists to vilify fat? This should immediately cause some concern, and make you question what the sugar industry has been trying to hide from you. The truth is that in the 1960s, the sugar industry actually paid scientists to promote saturated fat as the culprit behind heart disease. It’s also been proven that five decades worth of research regarding nutrition and heart disease was shaped by the sugar industry. So, the main point here is that even today’s dietary guidelines have been influenced by the sugar industry. Meanwhile, refined sugar is actually terrible for your overall health and well-being. According to Dr. Mark Hyman, ever since the sugar industry has been unraveled, it’s been shown that sugar contributes to cancer, weight gain, diabetes and various other ailments. But, people with ADHD should be especially weary of refined sugar because of sugar’s negative effect on brain health. Corn syrup, fructose and honey is found in 74% of packaged foods in supermarkets. And, this has a brutal effect on the American population’s cognitive function and psychological well-being. Studies have also shown that eating too much sugar hijacks the brain’s reward pathway, hurts learning and memory skills, and can contribute to anxiety, depression, cognitive decline and dementia. With sugar’s overall destructive effects on the human brain, it should be clear that people with ADHD need to take advantage of natural sweetener options as often as possible. You may have heard before that artificial dyes can cause ADHD. But, we simply don’t know if that’s true or not. 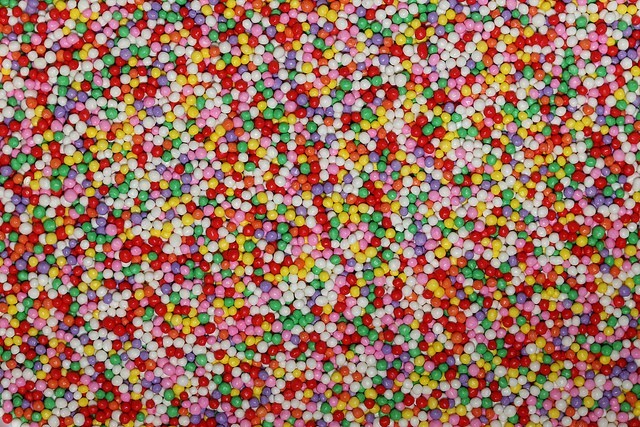 There isn’t any concrete evidence to suggest that artificial dyes can cause ADHD. However, it is widely accepted that artificial dyes can significantly worsen ADHD symptoms. For example, one study from the United Kingdom showed us that artificial dyes increased hyperactive behavior in children. This is why artificial dyes like Red 40 have been banned in Europe. Meanwhile, artificial dyes are still legal and extremely common in the United States. This is a strange phenomenon, given that Red 40 has shown to be a dangerous risk to the human body. According to The Center for Science in the Public Interest, the potential risks of Red 40 include hyperactivity in adolescence, cancer (shown in animal studies) and hypersensitivity. “May have an adverse effect on activity and attention in children‘”. Unfortunately, the United States hasn’t stepped up to ban harmful artificial dyes yet. Until that point, you have to be vigilant about the food coloring additives that you and your family consume. You should try your best to avoid the 7 ingredients listed in this article like the plague (minus alcohol). If you can eradicate these 7 ingredients from your life to the best of your ability, you’ll most likely experience a much greater sense of mental clarity, more happiness, and an all-around healthier lifestyle. But, it’s also worth noting that there are a few important additional steps that you can take to eliminate unwanted ingredients from your household, and live the best life possible with ADHD. 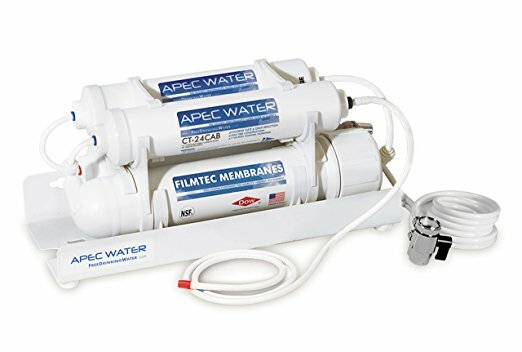 The APEC Portable Countertop Reverse Osmosis Water Filter System (Amazon) is currently the best option available for getting pure, clean drinking water in your own home. This water filtration system is amazing for removing arsenic, lead, chlorine, fluoride and other impurities from your water. It takes most people less than 10 minutes to fill a gallon of water using this system. Best of all, this water filter works with most standard kitchen faucets, and can be set up in under 5 minutes. There’s no drilling or installation required (like you would find in under-the-counter water filtration systems). It’s perfect for families who live in apartments or condos – and aren’t allowed to use entire home water filtration systems. By using this water filtration system, you’ll ultimately improve your family’s health, and save thousands of dollars by eliminating plastic water bottles from your household. 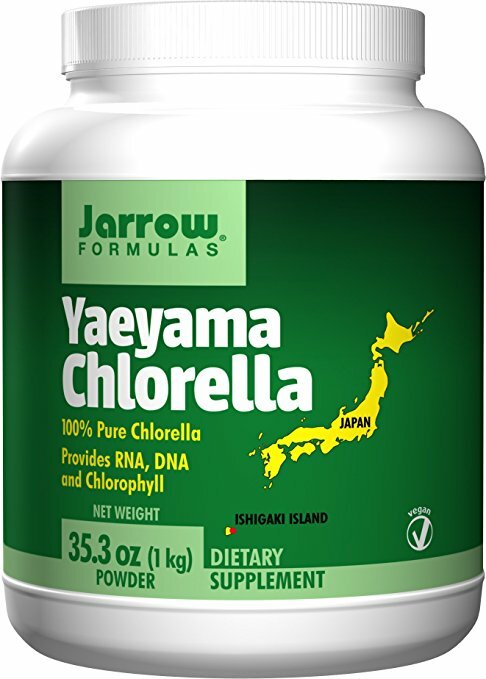 Jarrow Formulas Yaeyama Chlorella (Amazon) is a high-quality form of chlorella from Japan. And, chlorella is a special type of freshwater algae that helps you remove heavy metals from your system, and deeply detoxify your body in general. Chlorella is one of the ingredients that I strongly suggest using. Because, if you don’t have the time to make a healthy smoothie, or eat your vegetables, then taking chlorella is probably going to be your next best option. Just mix one teaspoon of chlorella in a glass of water or apple juice, chug it down, and enjoy chlorella’s massive nutritional benefits. As an added bonus, you can also drink chlorella after a night of boozing to help prevent hangovers. 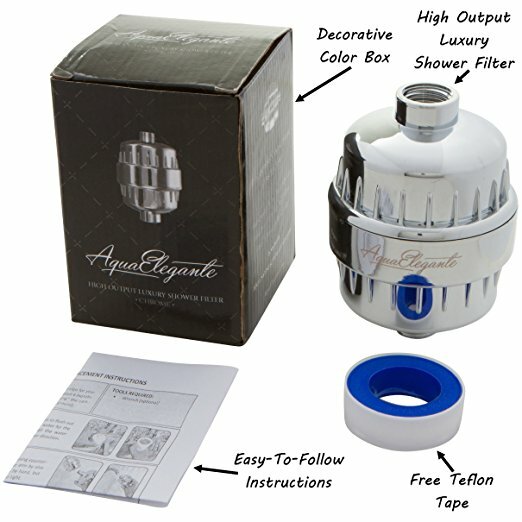 The Aqua Elegante High Output Luxury Shower Filter (Amazon) is an excellent shower filter that works seamlessly with your existing shower head. This shower filter uses activated carbon and high-purity copper-zinc alloy to filter out chlorine, sulfur odor, arsenic, lead, mercury and various other impurities from your shower water. In case you aren’t aware, your skin is your body’s largest organ. And, your skin absorbs your shower water. So, if your shower water has dangerous chemicals and impurities in it (it most likely does), then your body will absorb those toxins too. Chlorinated water has actually been known to kill gut flora, and bring about anxiety, depression, and various other problems in people. It doesn’t matter whether the source of your chlorinated water is tap water, pool water, or your own shower water. The bottom line is that chlorinated water poses real health risks, and needs to be addressed. Luckily, using a high-quality shower filter for your existing shower head is an easy solution to a significant problem. This shower filter works with any shower head that has a 1/2″ threaded connection. Plus, this shower filter is extremely easy to install, and doesn’t require any tools. It’s a great investment for your skin, hair, and most importantly – your health. 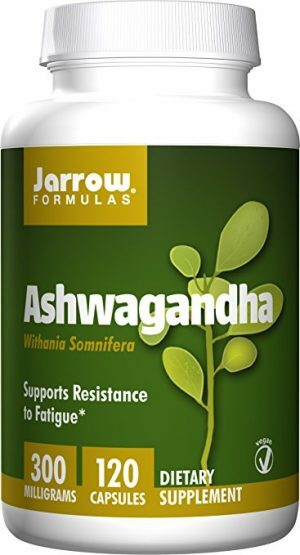 Jarrow Formulas Ashwagandha (Amazon) is a great source of ashwagandha, which is an adaptogen that has been used in India for thousands of years to balance hormones, lower stress, reduce anxiety, increase stamina, and strengthen the immune system. Ashwagandha is my favorite adaptogen. When you use ashwaganda, you’ll help your body reduce cortisol, and temporarily freeze out some of your ADHD symptoms like moodiness, anxiety and brain fog. Using ashwagandha can also help you fight against the estrogen mimicking ingredients found in various plastics and soy products. Ashwagandha helps you naturally balance your hormones, so you can use the herbal compound to reduce the impact of endocrine disrupting chemicals (EDCs). It seems like we live in a toxic world that’s full of dangerous ingredients and chemicals at every turn. Unfortunately, I have a difficult time dealing with this myself, since I’m constantly looking for ways to protect my brain and body from unnecessary harm (as well as my family’s). But, I truly believe that avoiding the 7 ingredients listed in this article will improve your ADHD symptoms and overall lifestyle tremendously. Plus, if you take your lifestyle one step further – and filter your drinking water, take chlorella, filter your shower water, and use adaptogens – then you’ll really be on top of your game. Are there any other ingredients that you’ve eliminated from your diet, which resulted in an improvement in your ADHD symptoms? If so, I’d love to hear about them. We’re all in this fight together, after all. Make sure to let me know in the comments section below about the dangerous ADHD-aggravating ingredients that you’ve eliminated from your diet. I was diagnosed with adult ADHD about 6 months ago so a lot of this is new for me. I wanted to say that I’m glad I somehow stumbled across your page as your articles have been helpful and are easy to read. I agree with your list of things to avoid as I’ve experienced firsthand the effects on my brain and body–except soy. I don’t eat much soy at all–rarely–but I did just decide to start drinking soy milk again because I really don’t like the alternatives. 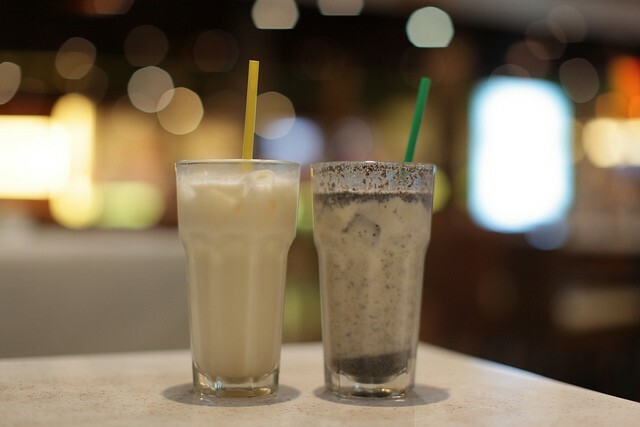 Do you think one to two cups of soy milk is bad–or only bad in excess? 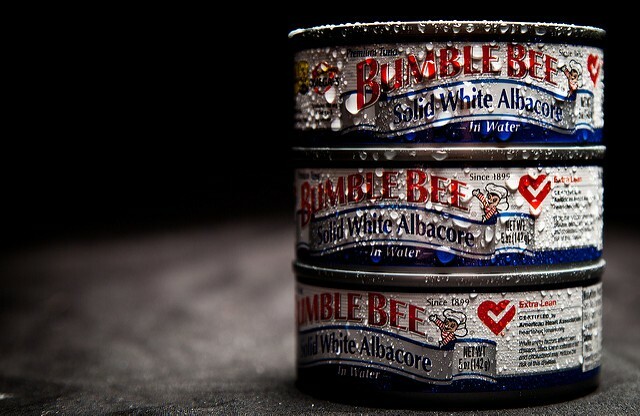 Same for canned solid white albacore tuna–a couple of times a week vs. excessive use? Again, thank you for your informative articles. Thank you for the awesome feedback Rachel. I’m really happy to hear the website is helping you out so far. The main issue with soy is that it’s pretty much everywhere. So, if you’ve managed to avoid soy for the most part, then you’re doing really good compared to most people. A little bit of soy milk is probably nothing to worry about as long as you’re regularly having blood work and hormone panels done (which everyone should do). The best alternative is honestly to make raw homemade nut milk. It’s super easy to do because you just need almonds, a blender, a nut milk bag, and some spices. And having a few cans of albacore tuna every week is no biggie either. It’s usually the people who live on the coast and eat a lot of seafood who need to be most careful. BTW, I love white albacore tuna too, so I try to eat the Wild Planet brand, since their tuna is low in mercury (they catch smaller-sized tunas). I am a Vietnam Vet with life-long A.D.D. During my term of service 1967-69, I was a Battation Surgeon in Xuan Loc, jungle inland. We had exposure to not only Agent Orange but the Jet Fuels (JP4-JP9) containing benzene, raw kerosene, and 100s of other volatile and even deadly hydrocarbons. They invariably mixed JP4 etc with Agent Orange to cover defoliation of plants and death of insects, animals. Also, I had exposure to JPs and Benzene in transport helicopters. for over a year. I do have permanent nerve damage, Peripheral Neuropathy, but also, over time, my A.D.D has worsened and hardly responsive to meds. Essentially, my wife takes on the burdens of even ADLs for me! DO you have any reference material or contacts that you could pass along to me? Thank you for your service Stuart. It sounds like you’re doing the very best you can. And that’s great to hear your wife is helping you out as well. It sounds like your condition is severe enough to warrant the help of a professional. ADHD is tricky…and sometimes I have to tell amazing readers like yourself to get the best help possible (from a professional). Awesome website you have here Stefan! I just stumbled on your blog after searching for “cbd oil for adhd”, was partly curious because my own challenges with the disorder and also interest in the term as an aspiring blogger. I believe that have struggled with ADHD for a while now though not formally diagnosed. It is interesting to hear about the gut and mind connection being reiterated on this blog. I’m only now realizing that my gut problems which has translated into candida and other ailments is ruining my life as well as worsening my undiagnosed Adhd symptoms. Lack of money doesn’t help either, as i am unemployed. I really just want to be normal, think normally and get my blog up and running. I ordered Ashwagandha for stress and a probiotic called Prescript-Assist for my gut about a month or 2 ago. Was trying to eat healthy but after things got worse, constipation, still gnawing burning in stomach, exasperated sinus infection that swoll my nasal cavity and made it difficult to breath (a bit better now though), I gave up and returned to eating unhealthy up until today. I think my biggest challenges are sugar and chlorine. 2) I like it a lot , its like my drug so to speak, dislike the effects though, tiredness etc. There is chlorine in the cistern water where i live. I dont drink it but use it to bathe, wash my hair etc. So kind of hard to avoid, the filter may be a good option in the future when i can really afford it. I’ve been drinking the local purified drinking water and after a while i noticed that it smell like it has chlorine in it. Use to drink Evian regularly but cant afford it too much now. Though i did buy a bottle yesterday after noticing my lips being chapped and not completely feeling hydrated from the local drinking water. After reading what you said about chlorine noticed that Evian has Chloride in it as a naturally occurring mineral. So my question is should i stop drinking water with Chloride in it as well? Also, any word of advice for anything i mentioned above? It’s good to see someone with ADHD being productive and doing well. Im sure your site will become the go to site for people who suffer from ADHD! Thank you for the thoughtful comment Krystal. Sounds like you’re making the most of your situation and doing the best that you can. That’s all that really matters. Just do what you can to get your website up and running, cut down on sugar, and maybe filter your water once you get the opportunity to do so. Either way, I really appreciate your comment, and wish you the best of luck! I’ve recently been diagnosed myself. I love your site with all the valuable ADHD information and the 2017 articles regarding helpful supplements, as well as potentially harmful foods.I want to chime in on soy product consumption. I know that there is a broad perception that soy increases estrogen dominance when consumed. Recent research, however, has produced evidence that in fact the opposite is true. Please see this video, copied from Dr Gregers excellent Nutritionfacts.org site. I’d love reading your response, after you’ve viewed the video (please watch to the end). Thank you for the comment Judy 🙂 I’ll make sure to check out your video on soy estrogen dominance. And thank you for leaving your thoughts on here!